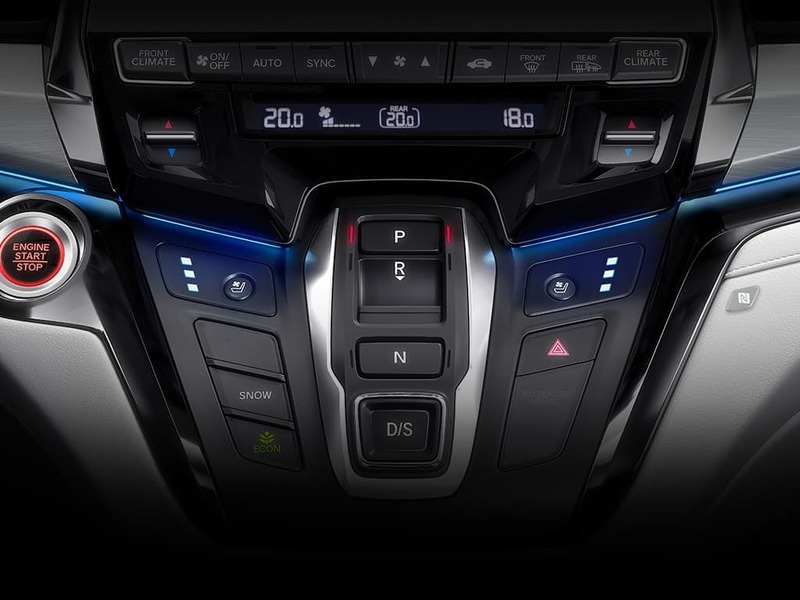 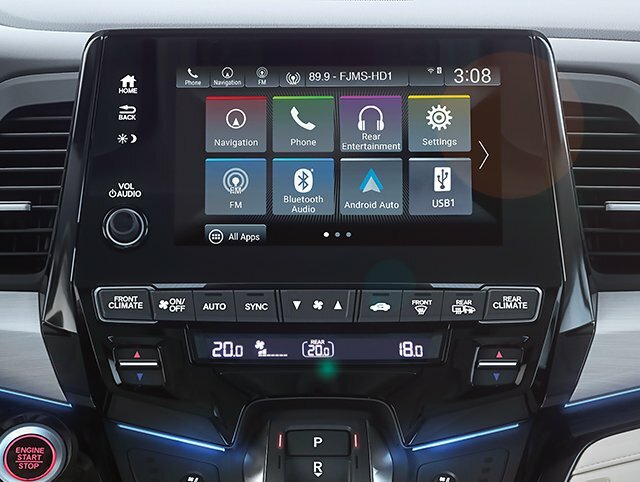 The instrument panel is ergonomically designed to house an all-new full color Digital Driver Information Interface and a Display Audio Touch-Screen. 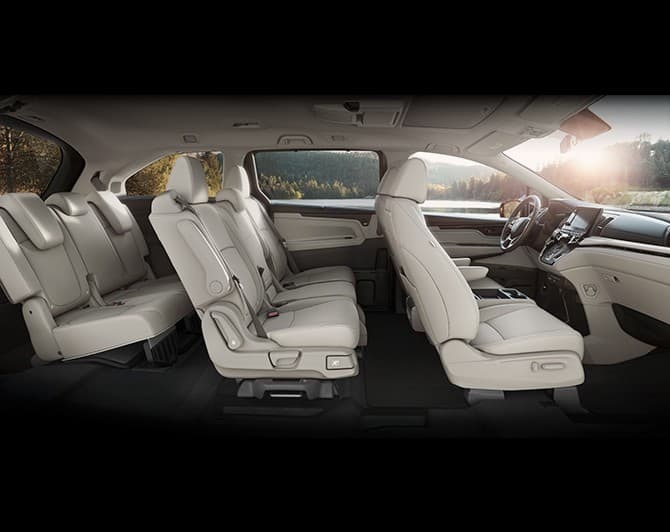 Comfort and style to seat up to 8 passengers. 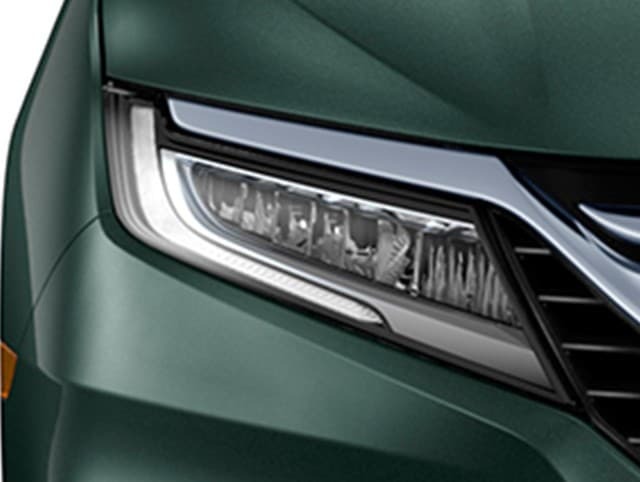 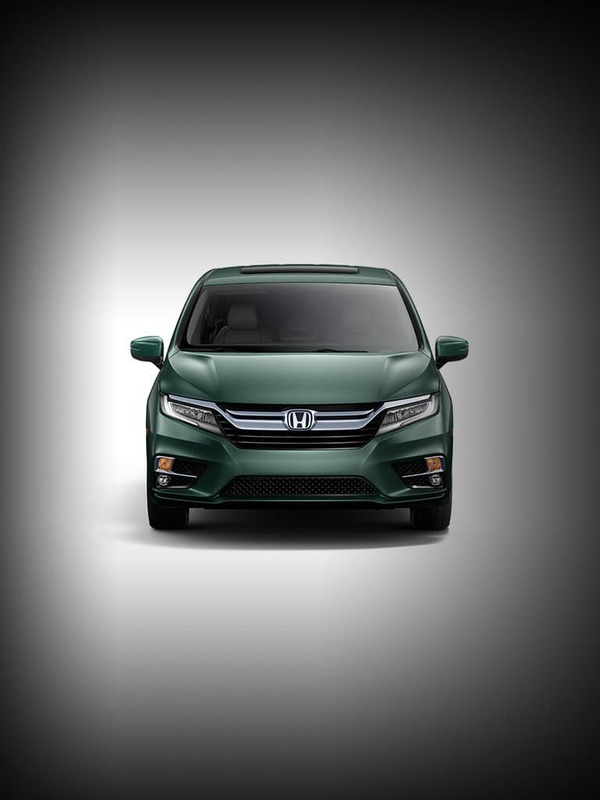 A dynamic, streamlined new front end is book-ended by LED Headlights and an angular new grille. 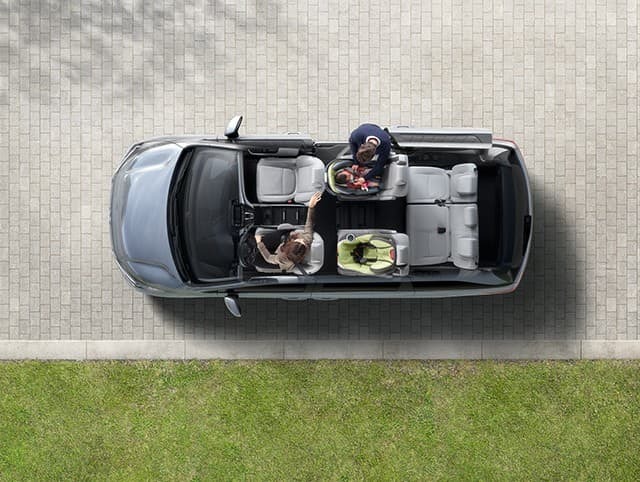 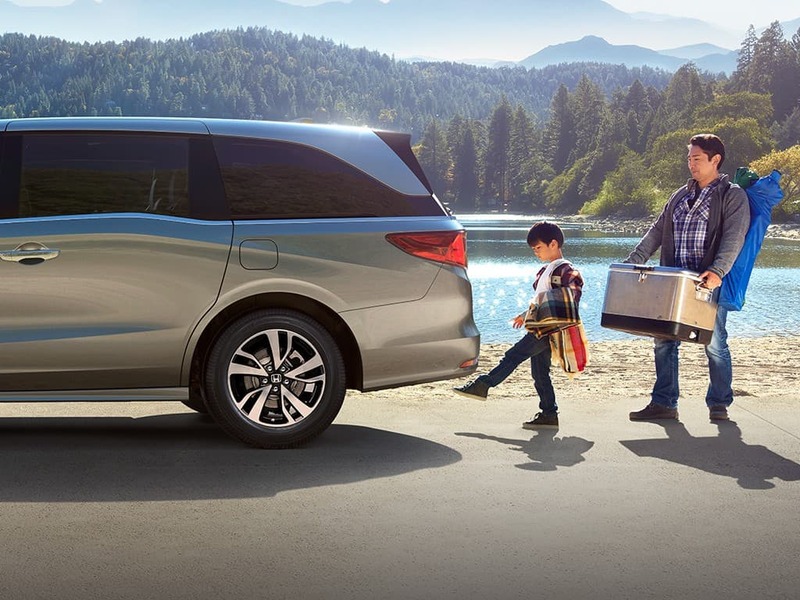 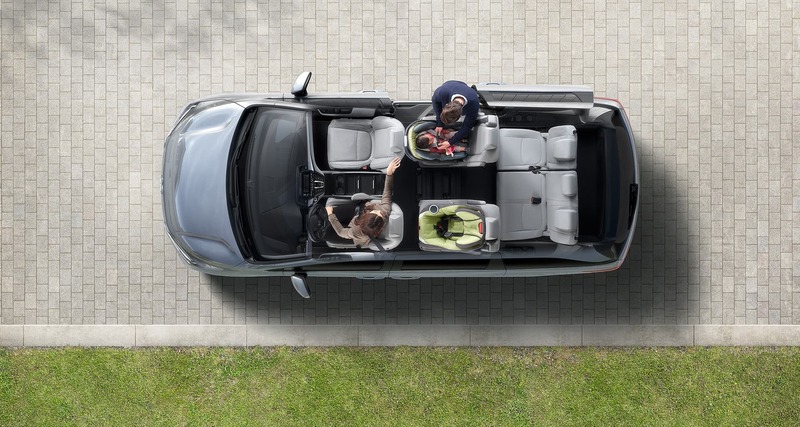 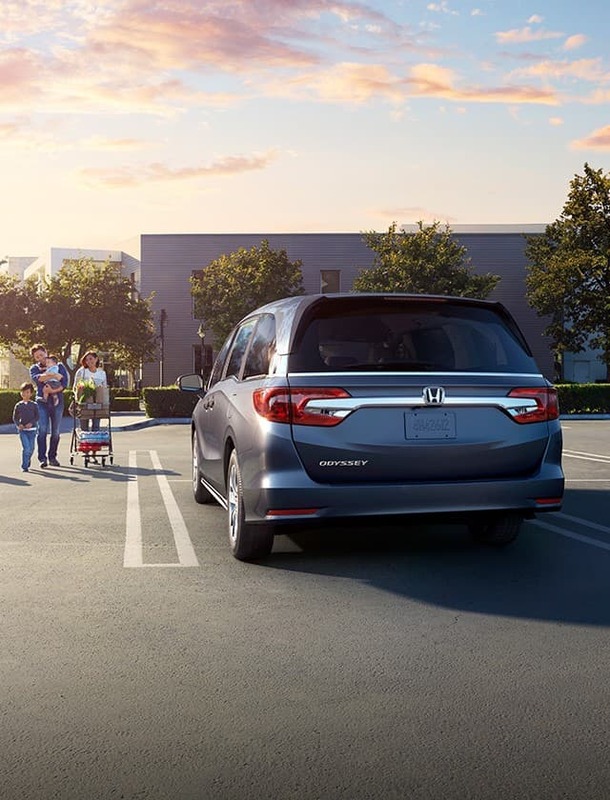 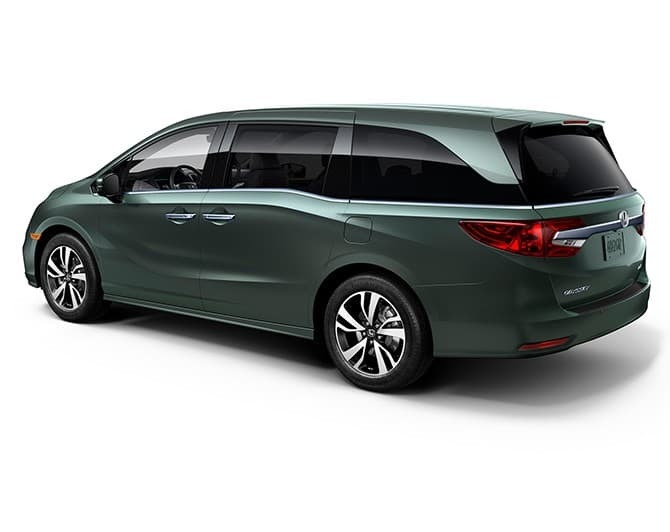 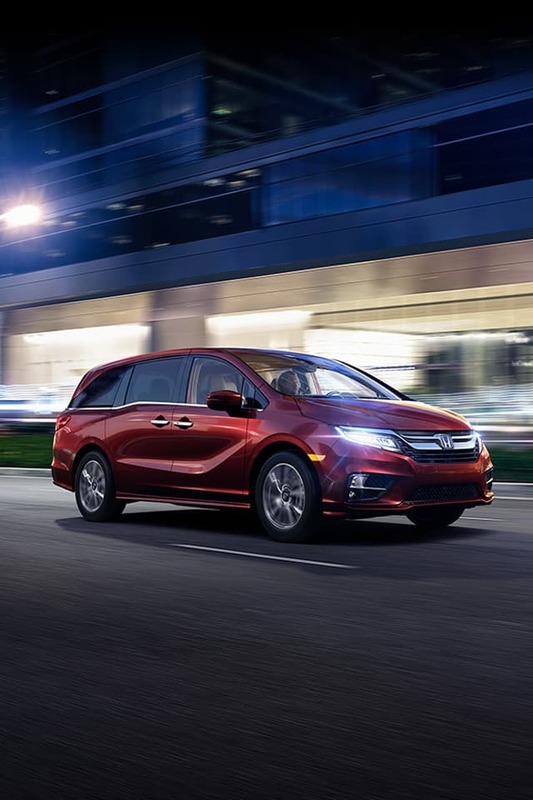 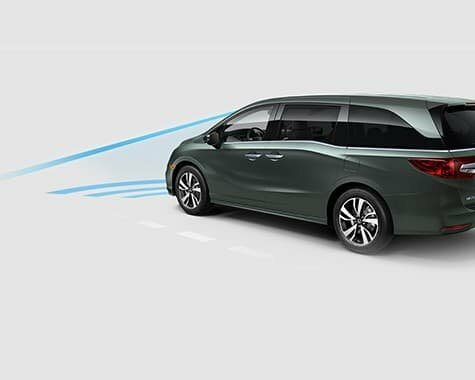 A totally redesigned exterior combines modern elegance with dynamic styling for a family minivan that’s anything but ordinary. 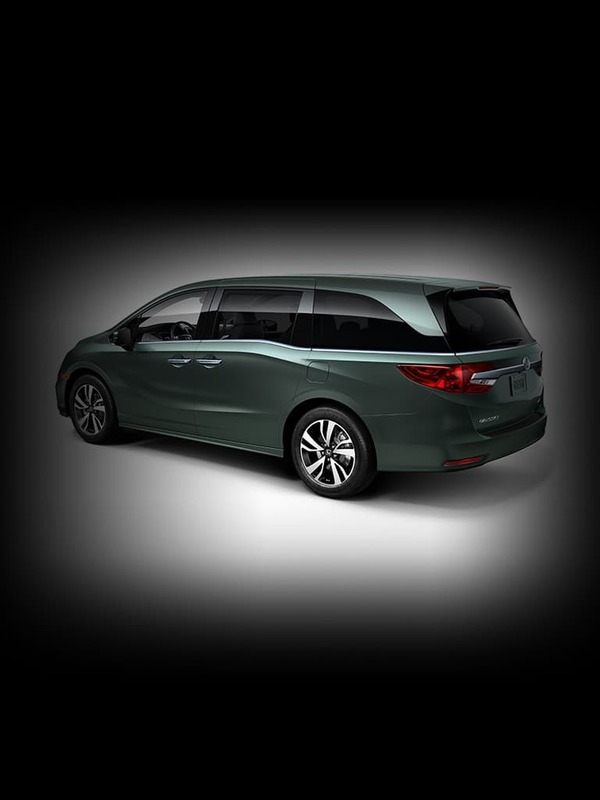 From team car to out on the town, the Odyssey takes it all in stride. 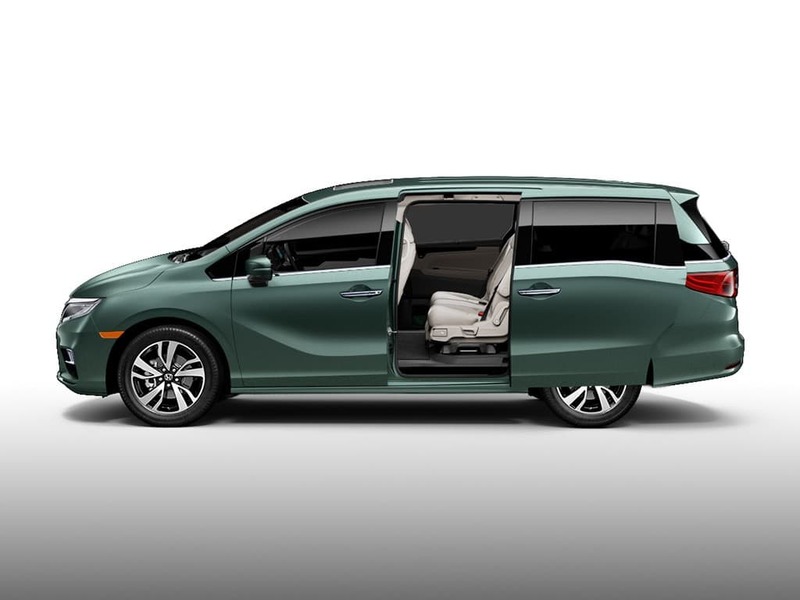 Tackle the first day of school — or any day — with ease and comfort. 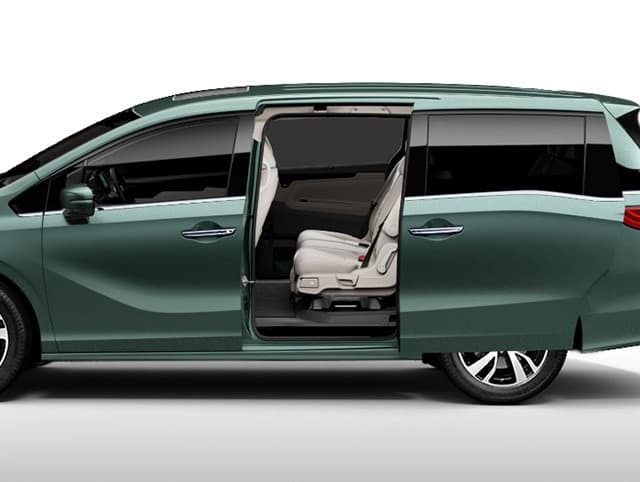 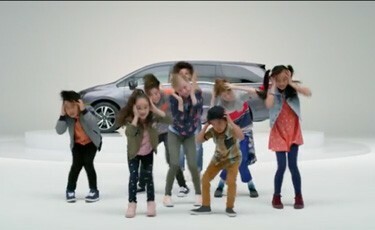 One doesn’t ordinarily think of minivans as stylish or sophisticated. 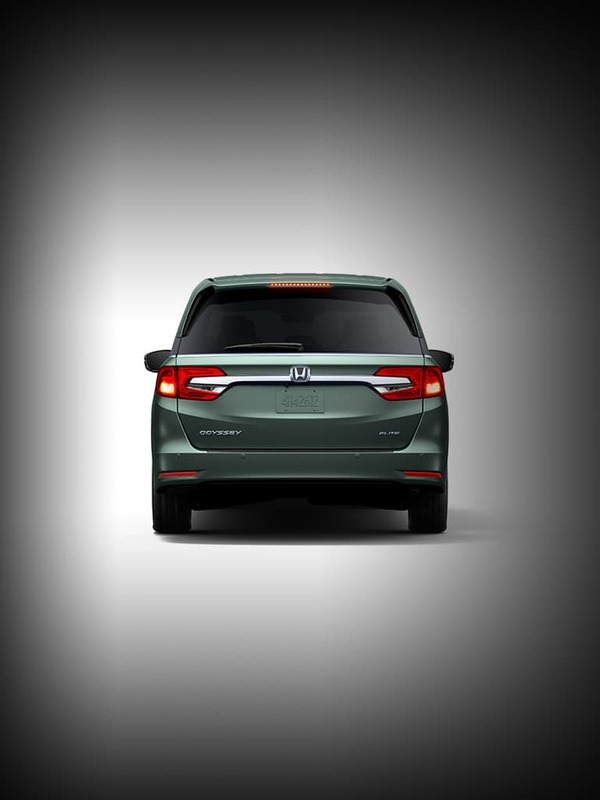 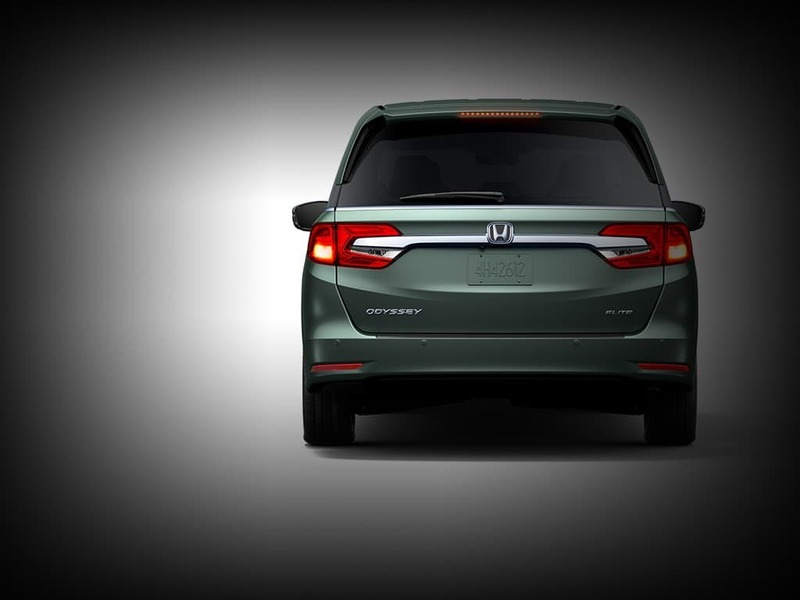 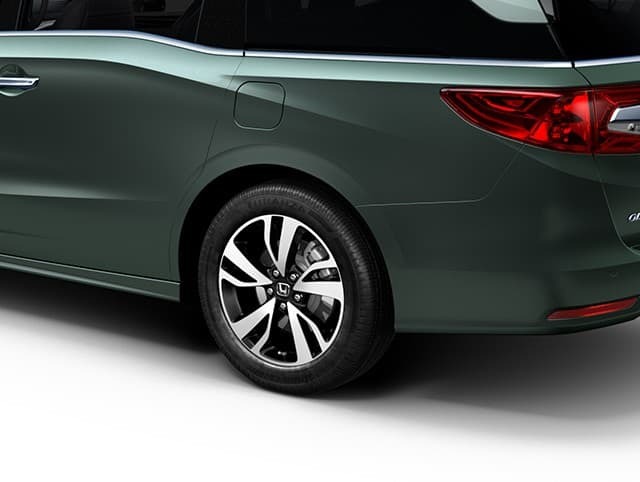 But the all-new Odyssey is anything but ordinary. 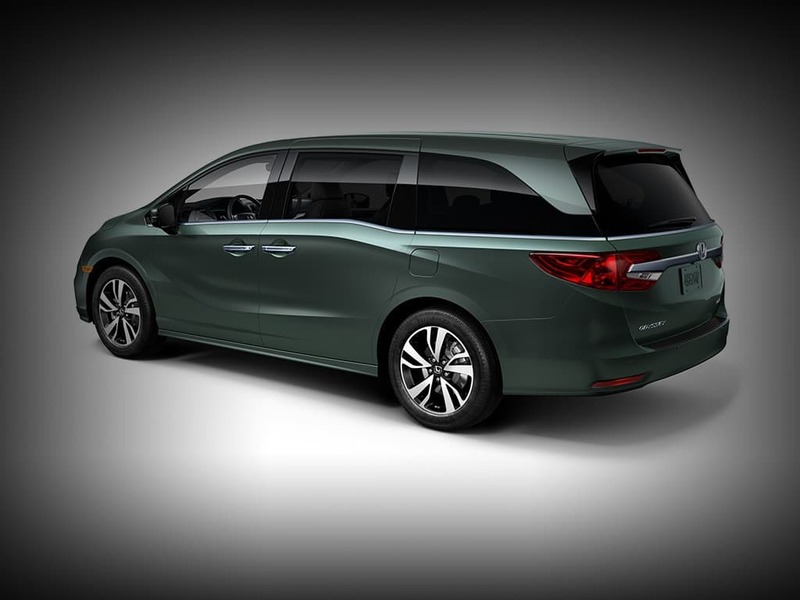 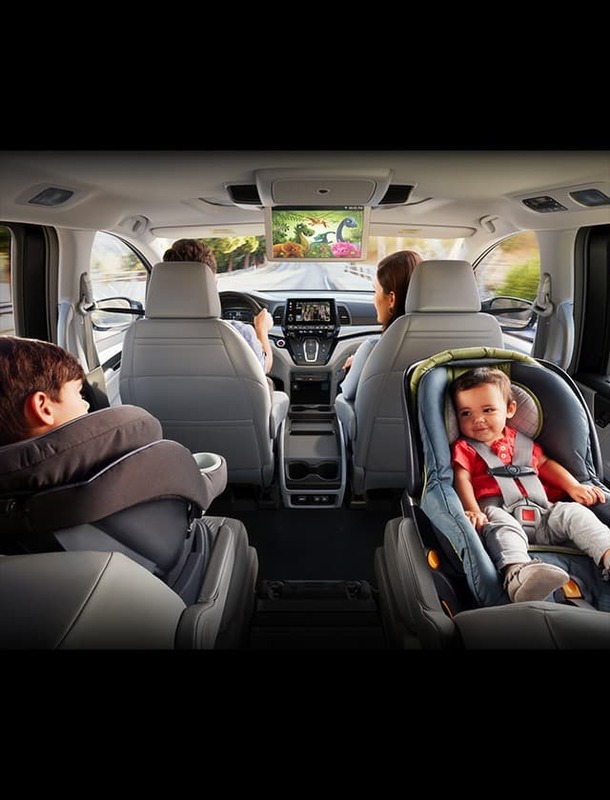 The all-new Odyssey is packed with more features and commodities than ever before. 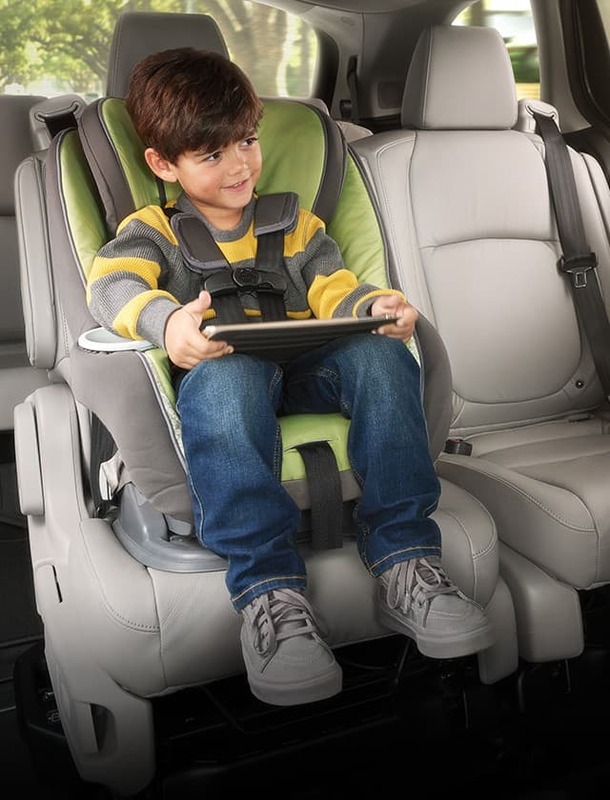 Easily access the 3rd-row seats or move a child within reach using the Magic Slide 2nd-Row Seats. 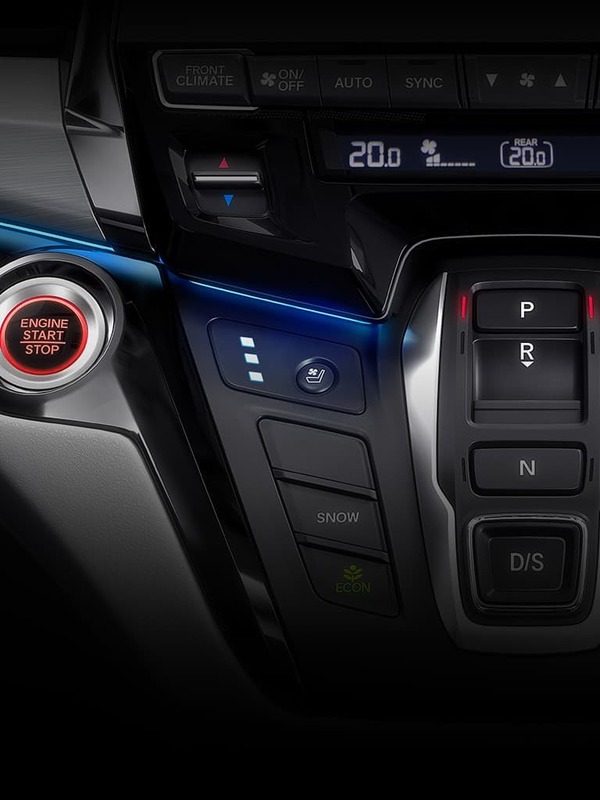 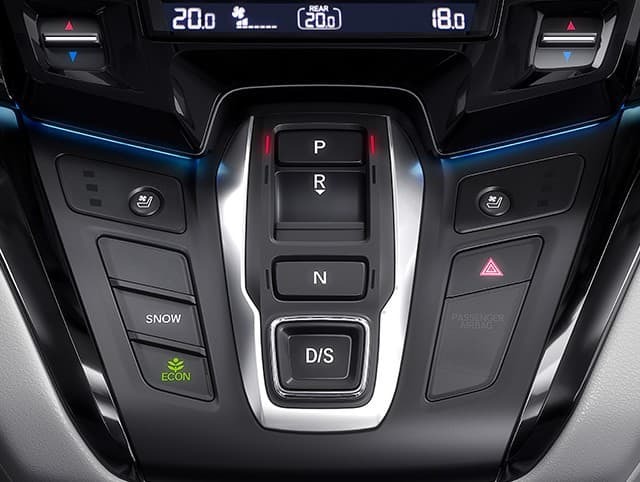 No gear stick needed — go from Park to Drive with a touch of the Electronic Gear Selector. 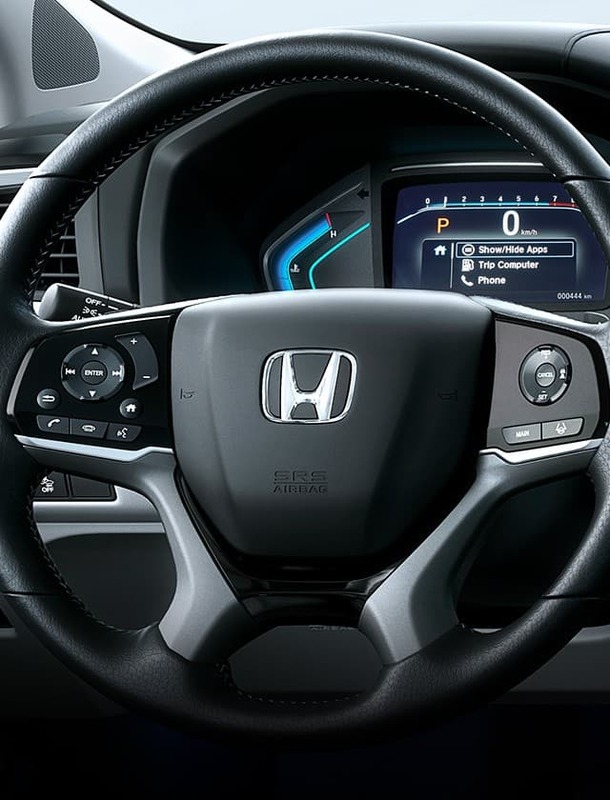 Stay focused on driving with intuitive steering wheel-mounted controls that allow you to adjust music volume, change song selections or make calls. 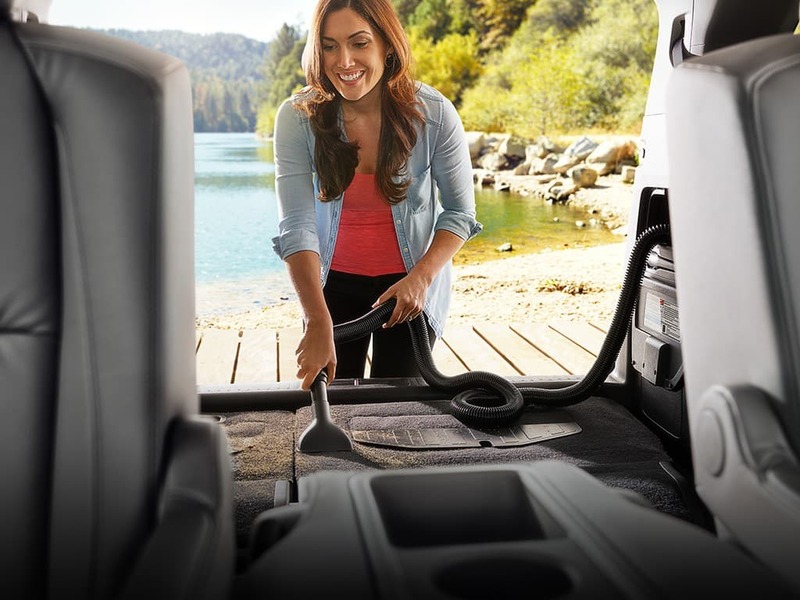 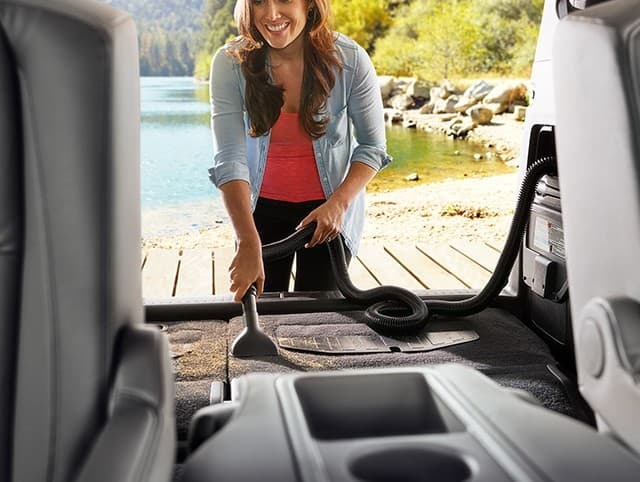 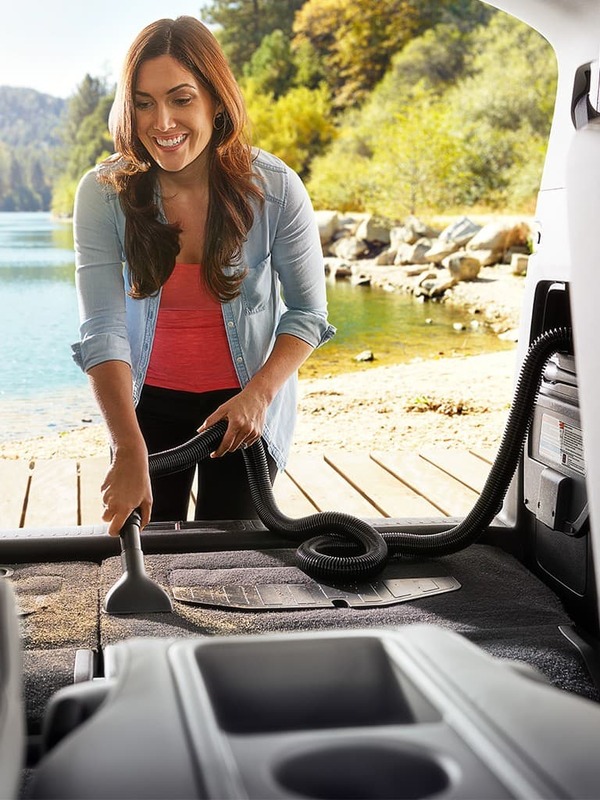 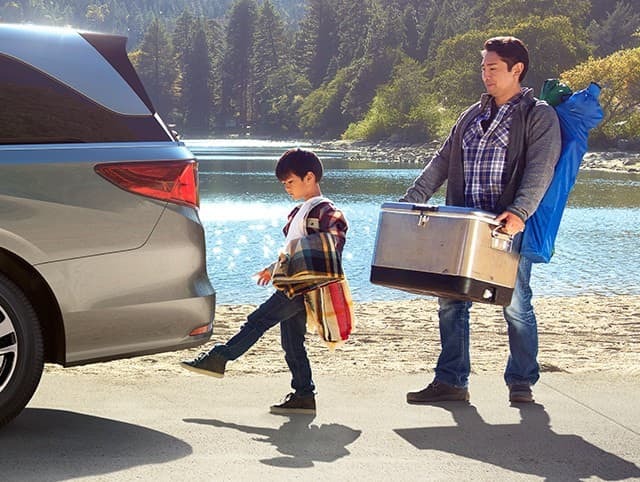 Whether loading or unloading, a simple wave of your foot under the rear bumper will grant you hands-free access to the rear cargo space (Elite models). 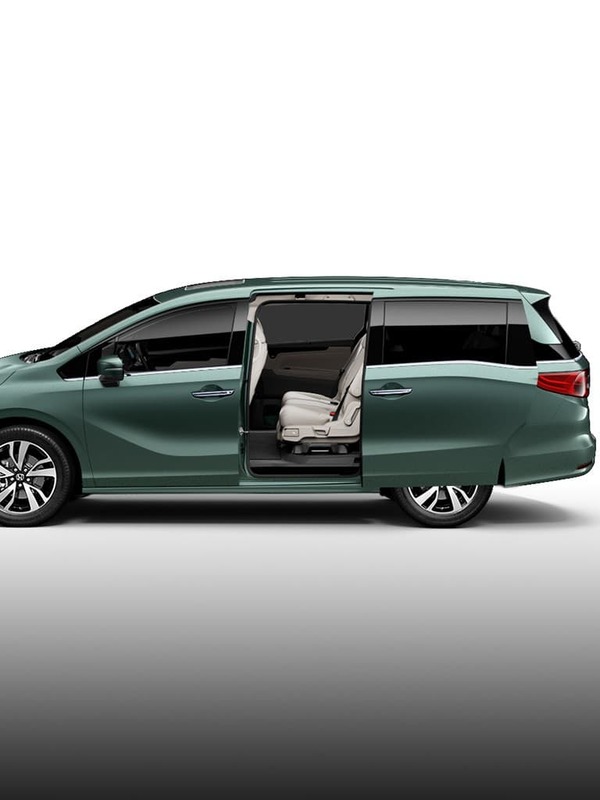 The Power Sliding Doors open wide for easy cargo loading and passenger entry, and can be opened or closed from up to 15 meters away with your key fob. 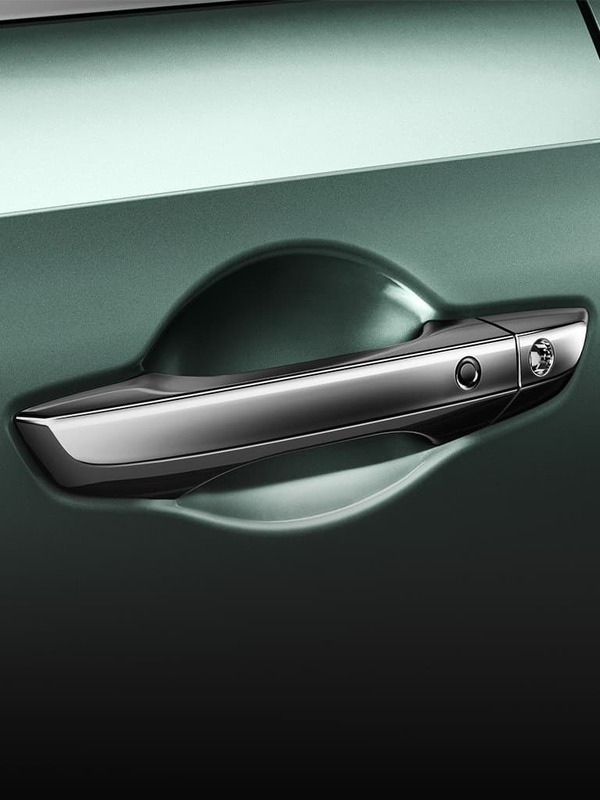 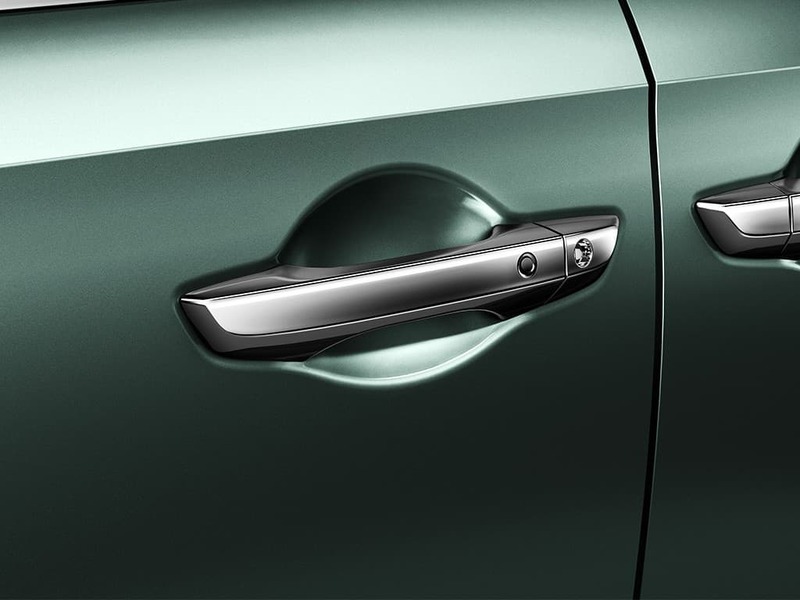 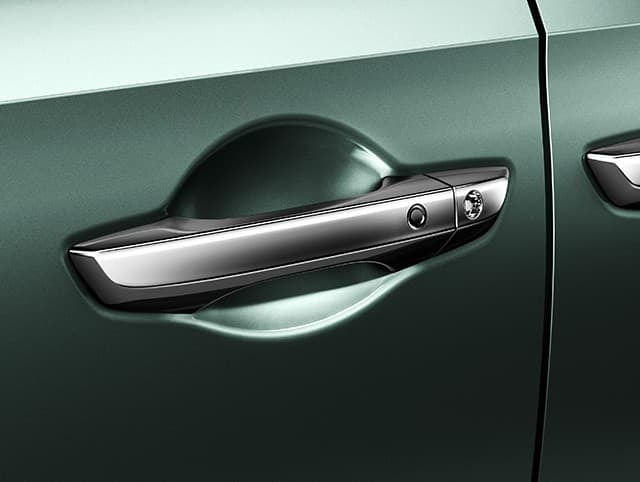 Lock or unlock the doors with a touch of the door handle, and they’ll automatically lock when you move away. 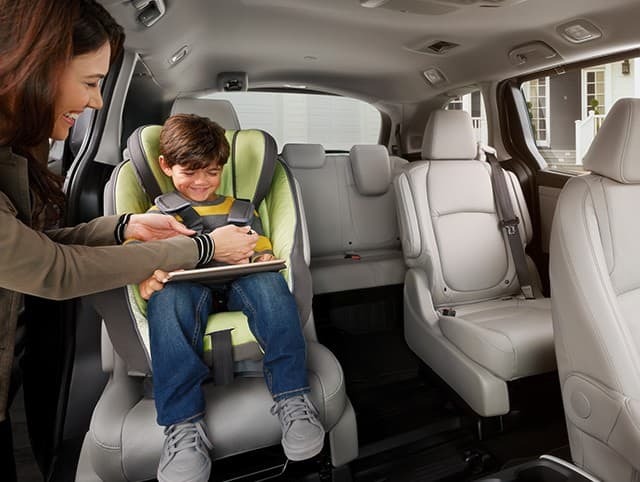 The innovative Magic Slide 2nd-Row Seats allow for convenient access to the 3rd row while also making it easier to move the seat within reach of the front row. 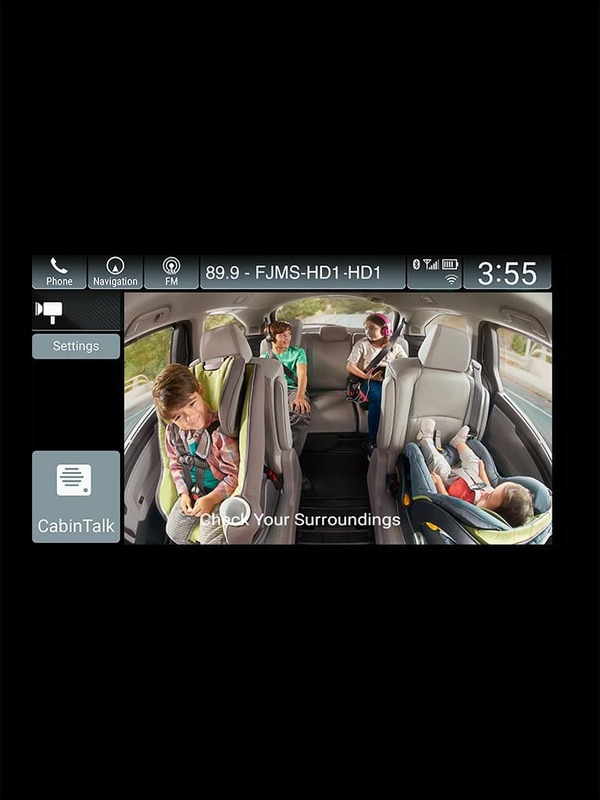 Keep an eye on your family with CabinWatch. 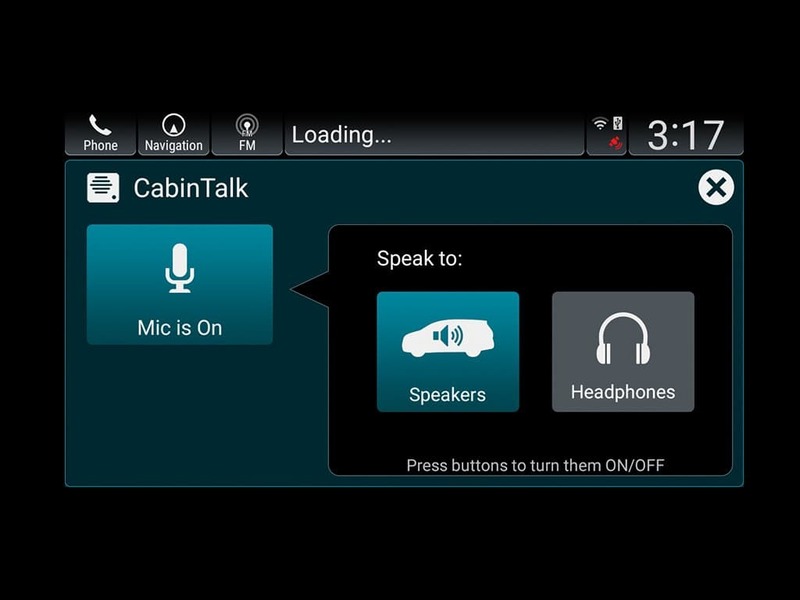 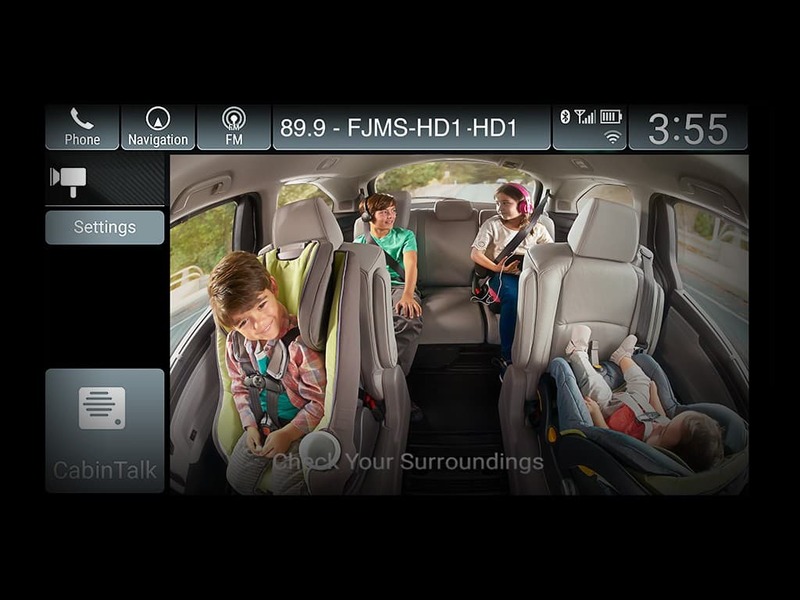 A camera with night vision lets you see the backseats, even in the dark, and is viewable through the Display Audio Touch-Screen. 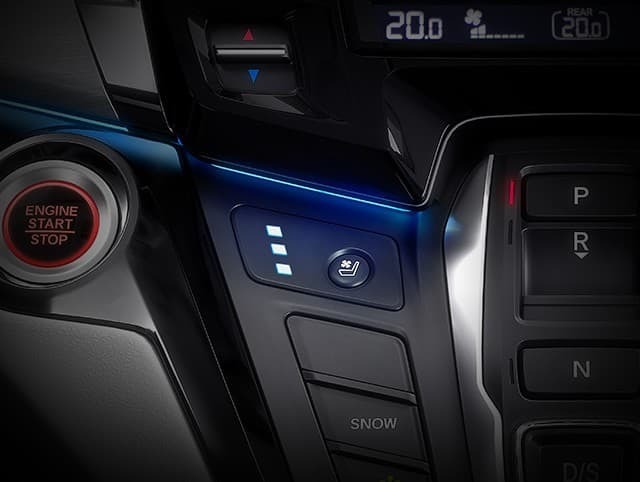 Ventilated seats keep you and your front passenger comfortable in any weather. 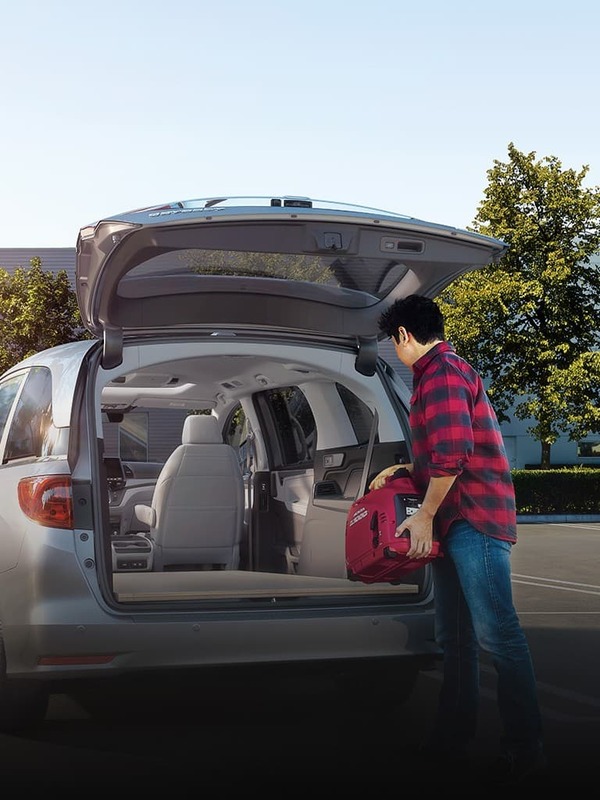 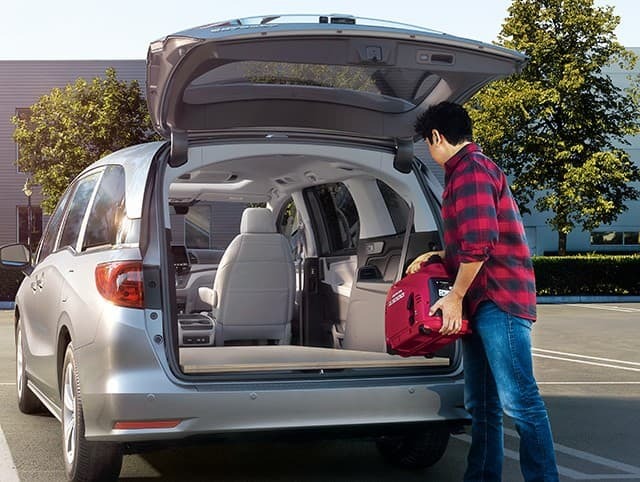 The all-new Odyssey has enough floor space to lay a stack of plywood sheets, so you can tackle even the biggest weekend project. 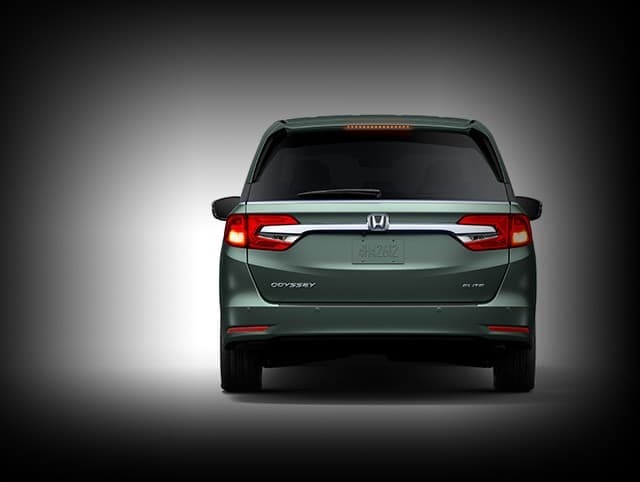 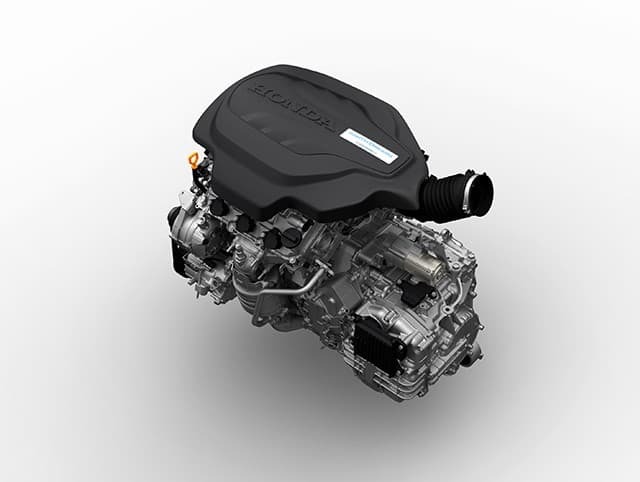 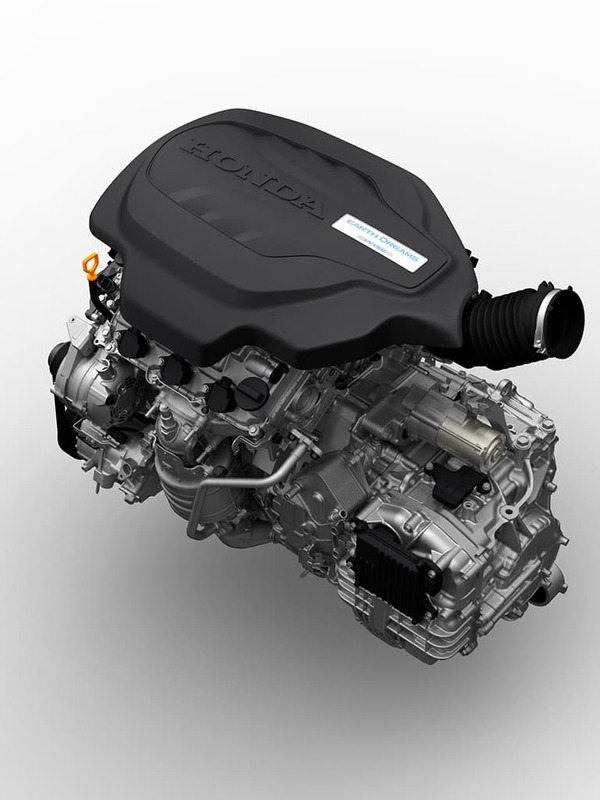 The Odyssey gives you solid performance with it’s 280 HP. 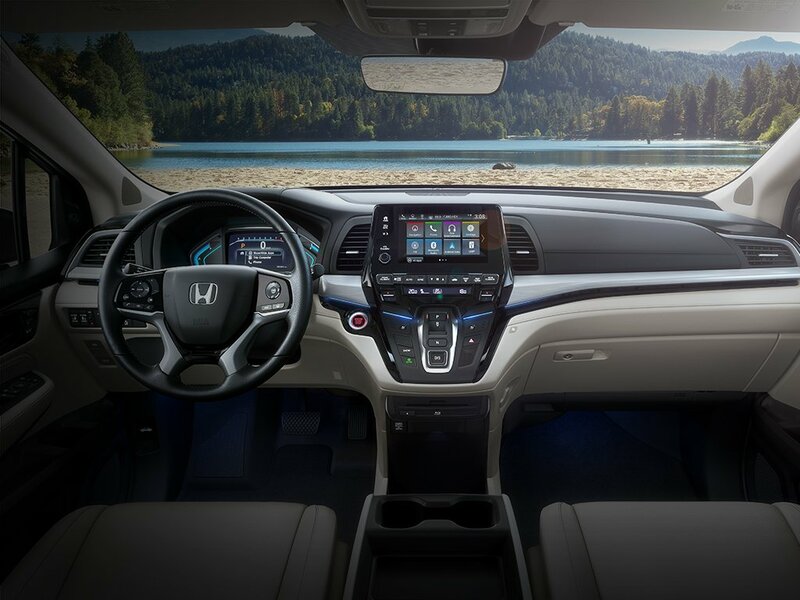 Go from Park to Drive with a touch of the electronic gear selector, then enjoy better gas mileage with a 10-speed automatic transmission. 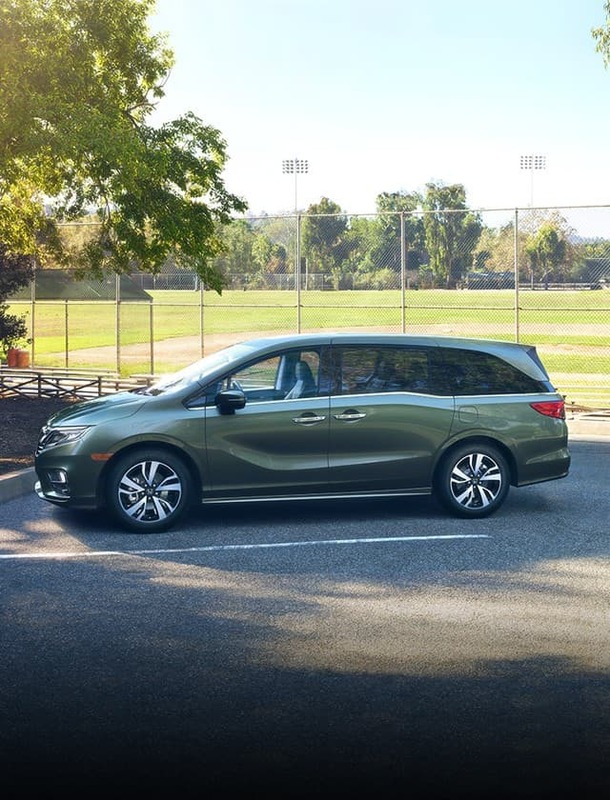 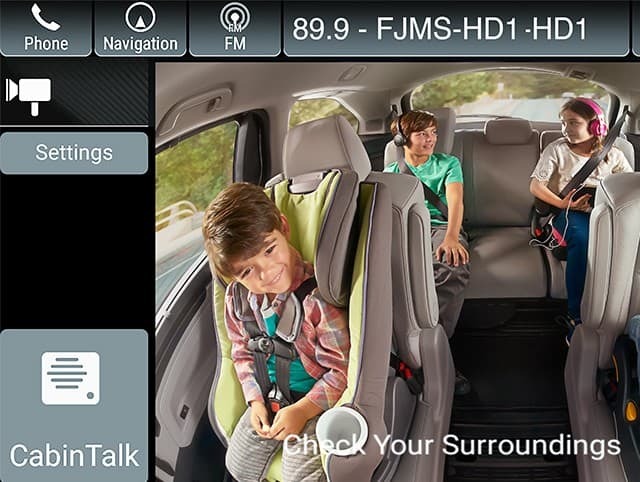 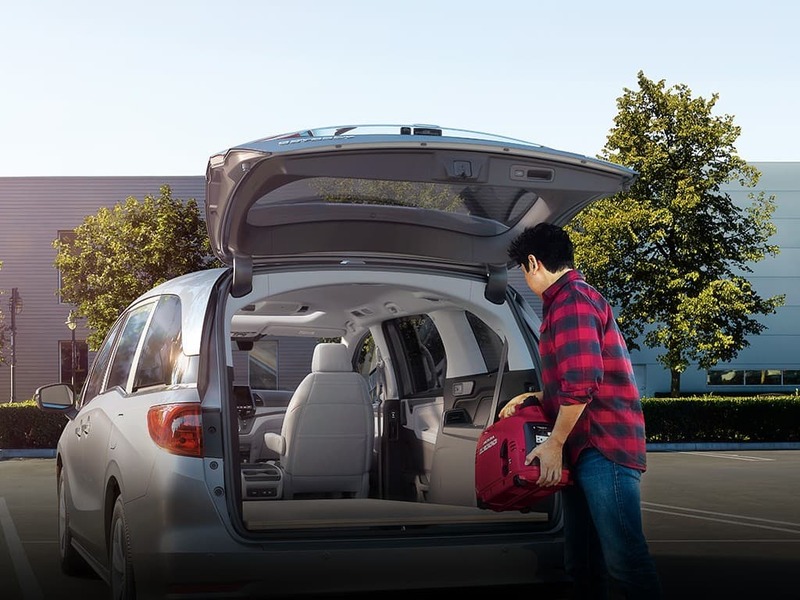 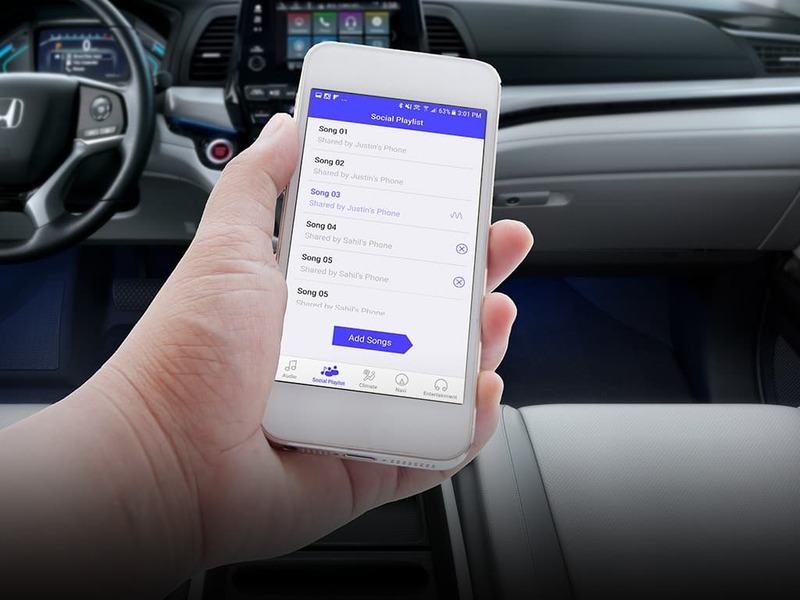 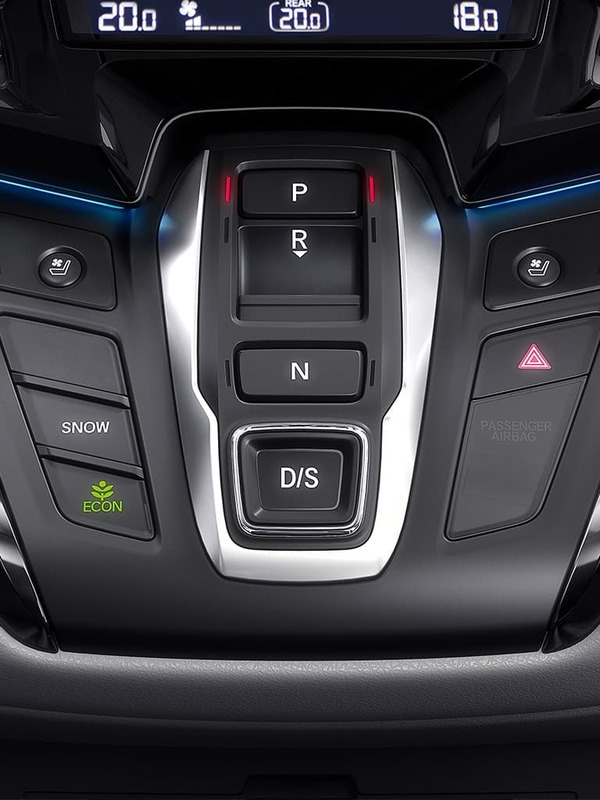 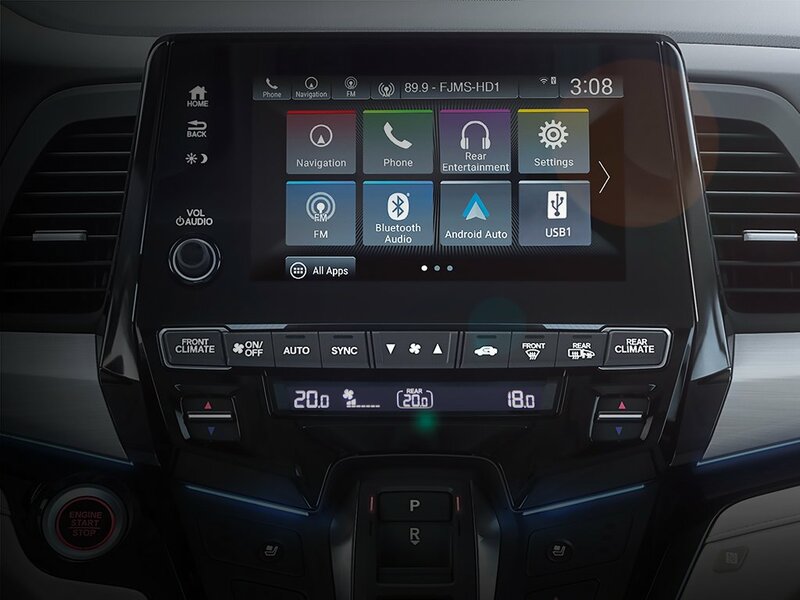 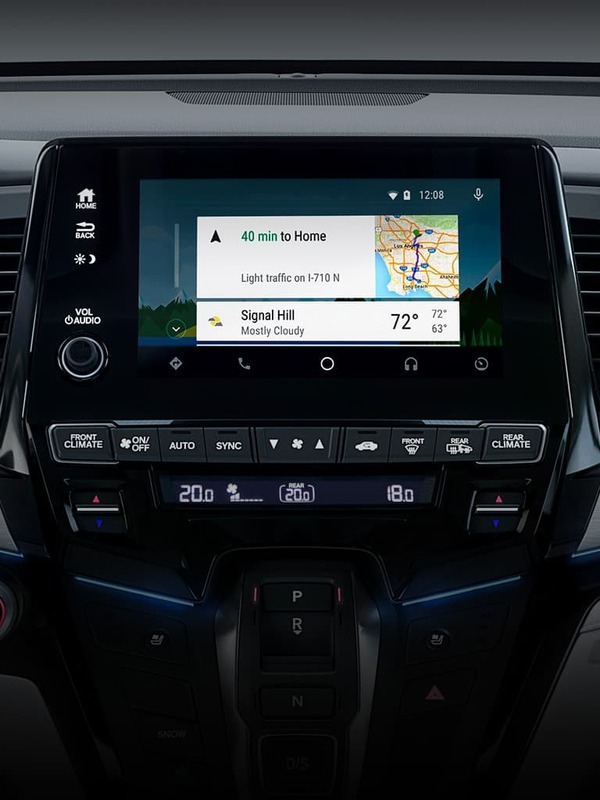 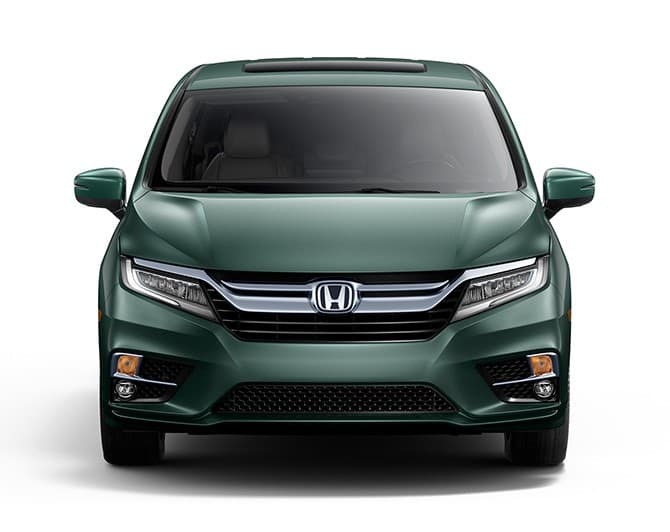 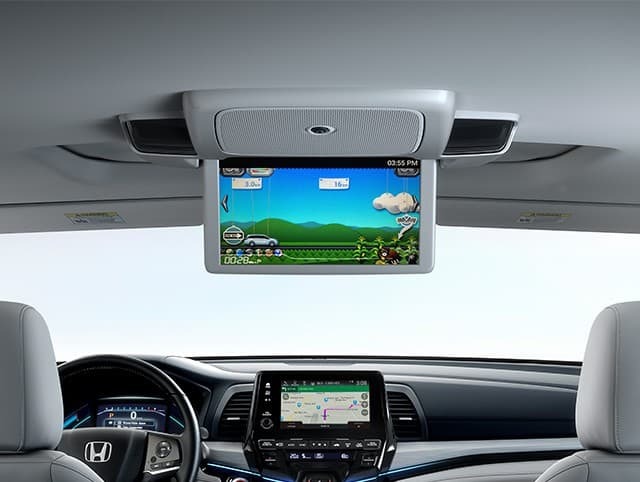 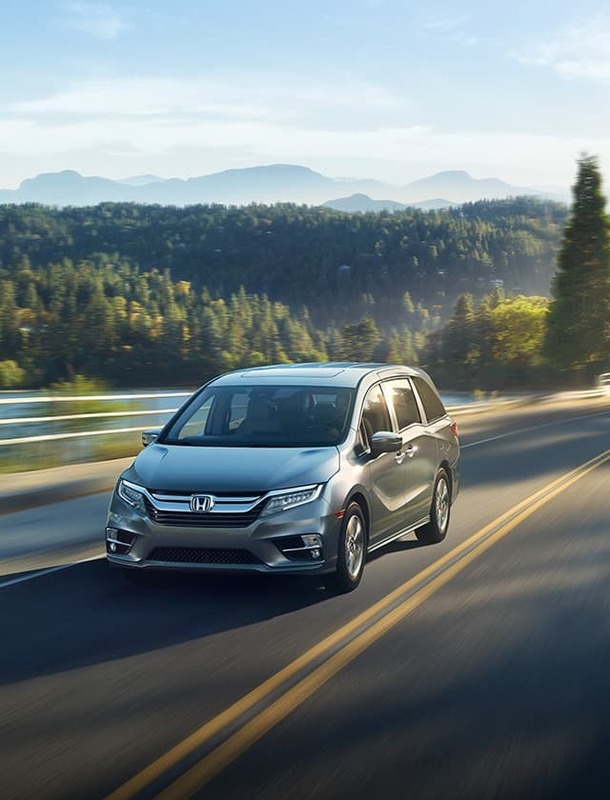 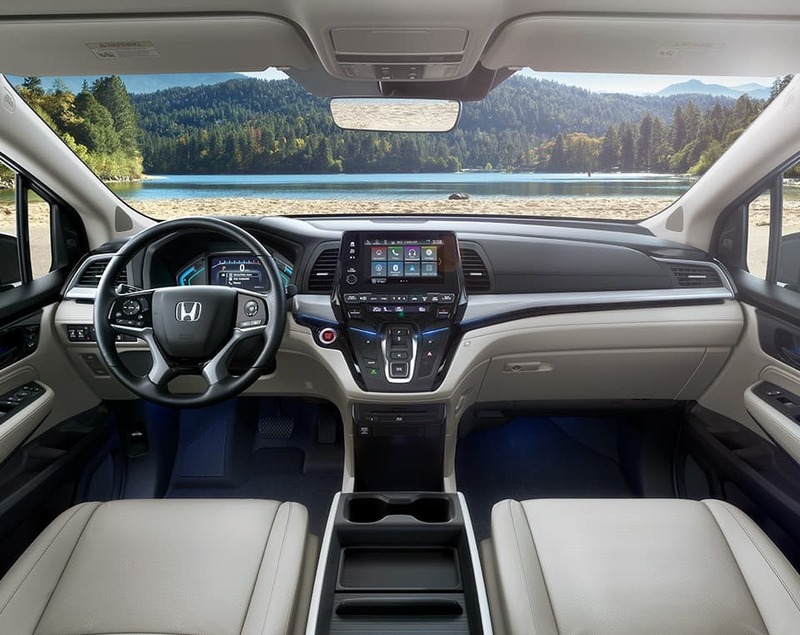 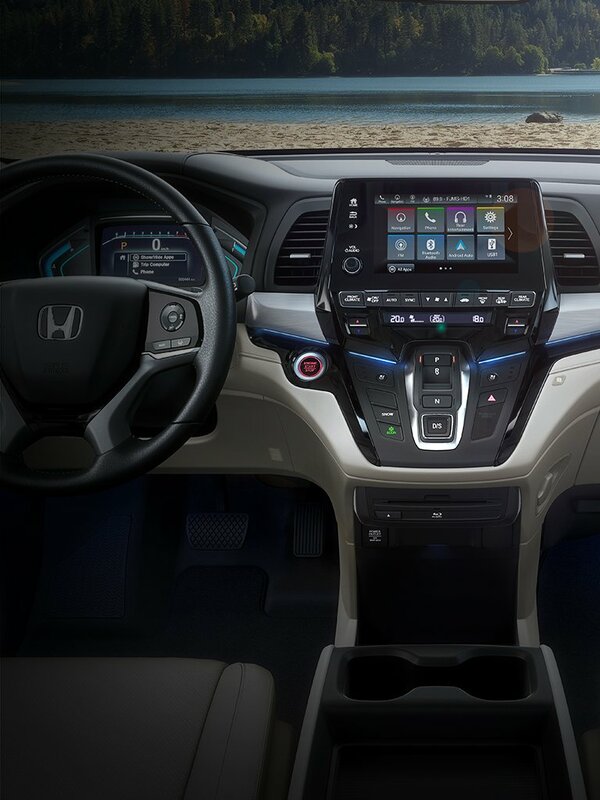 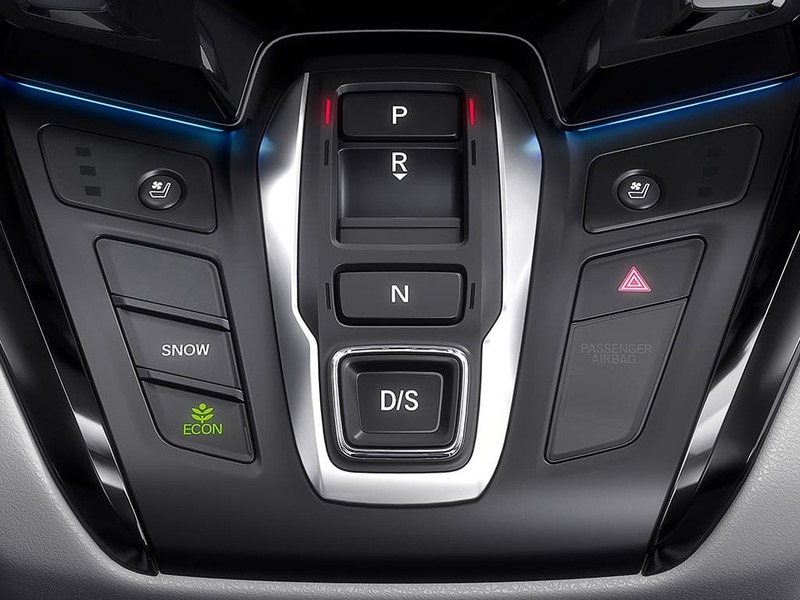 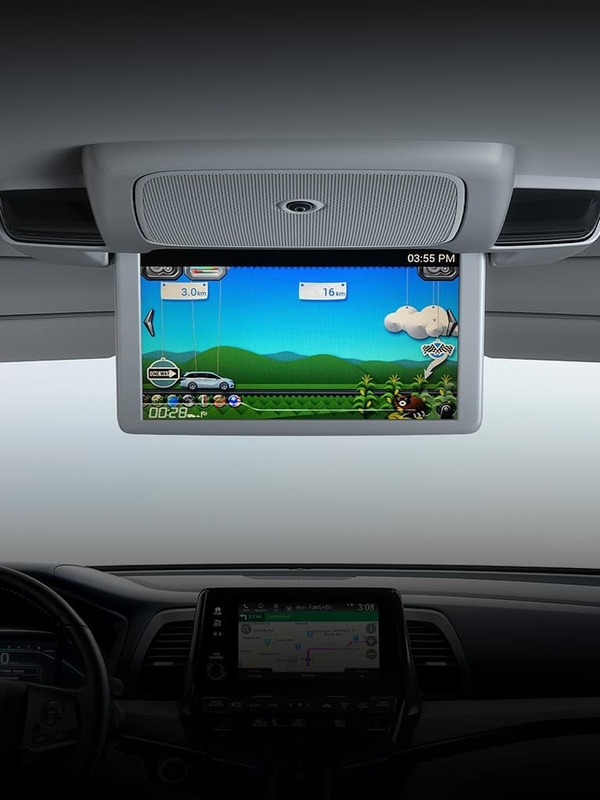 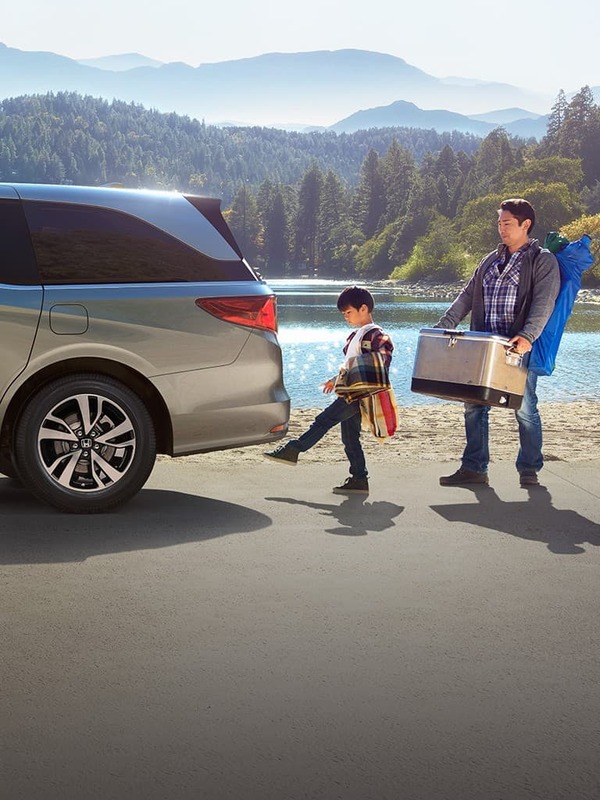 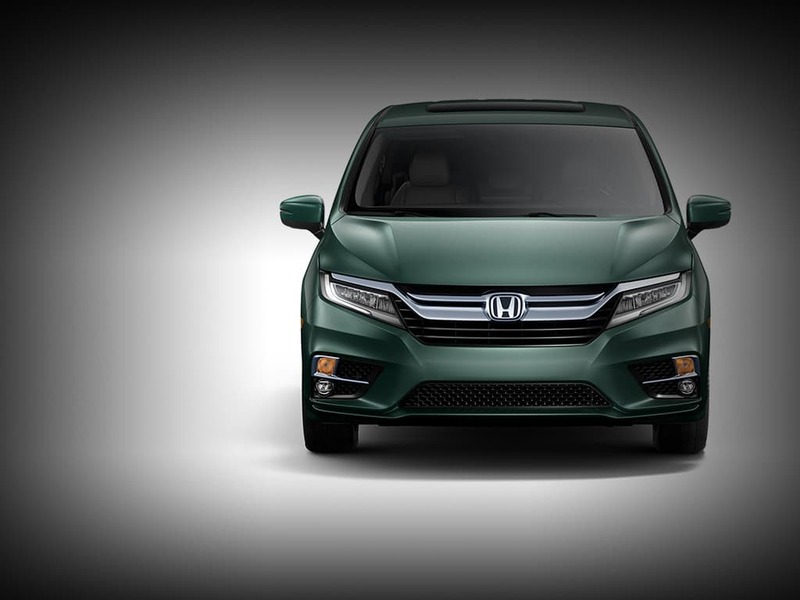 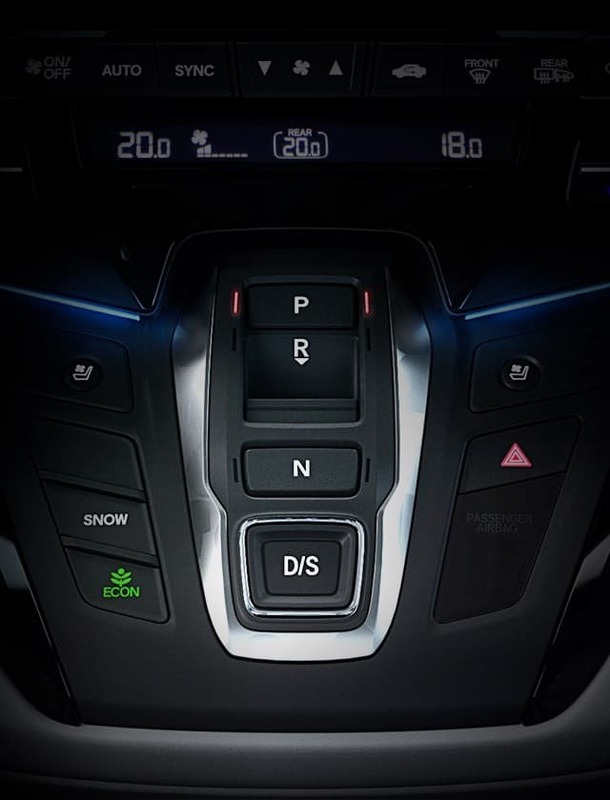 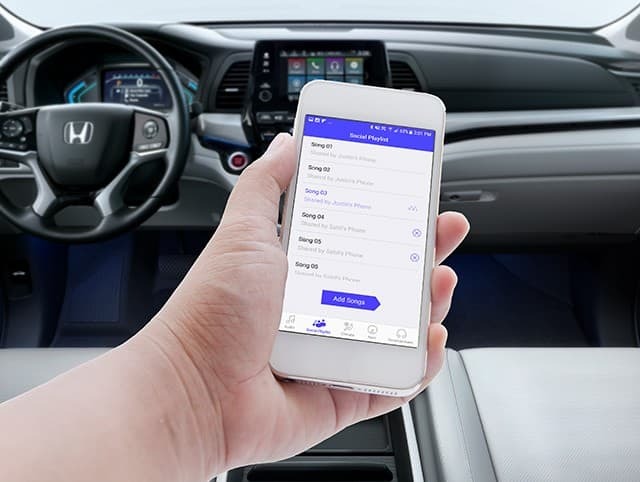 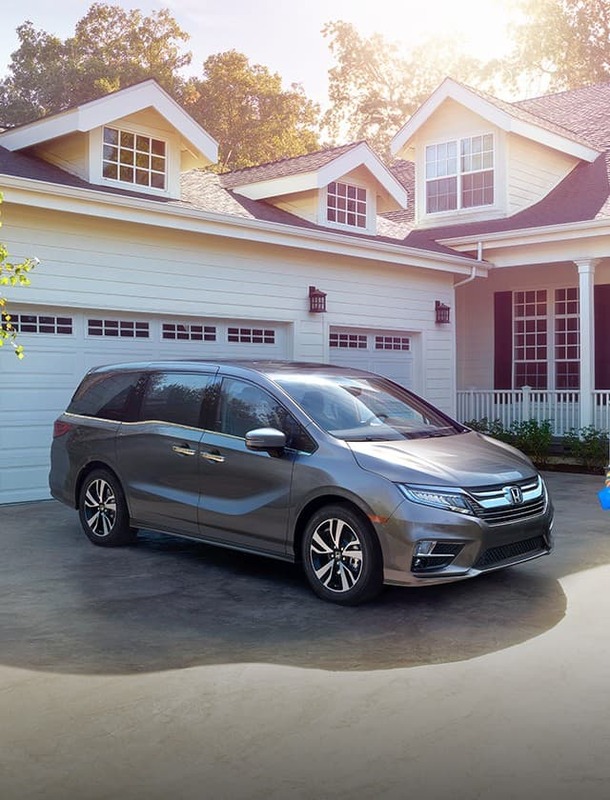 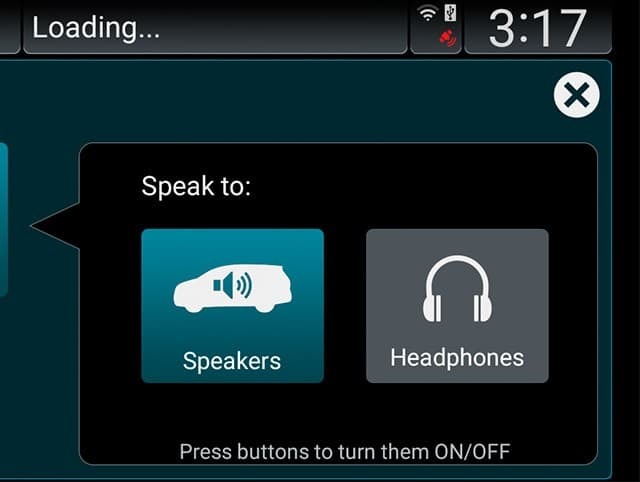 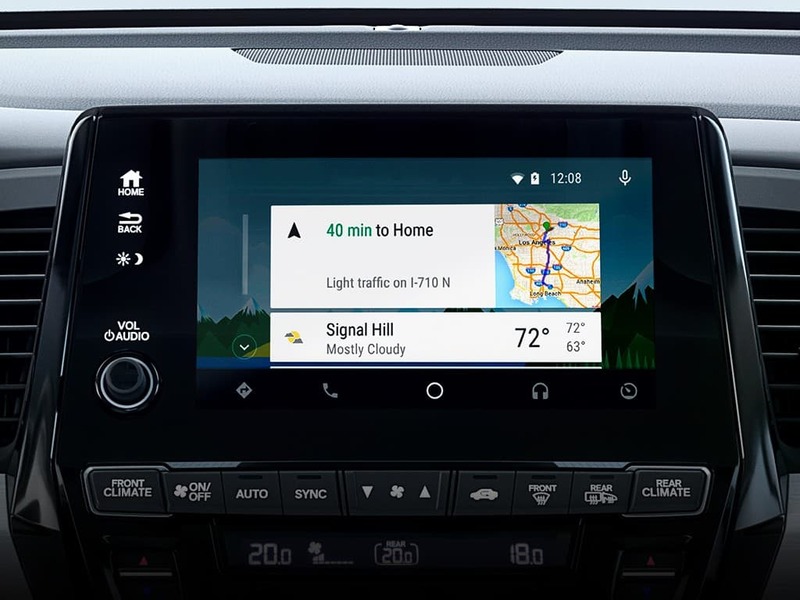 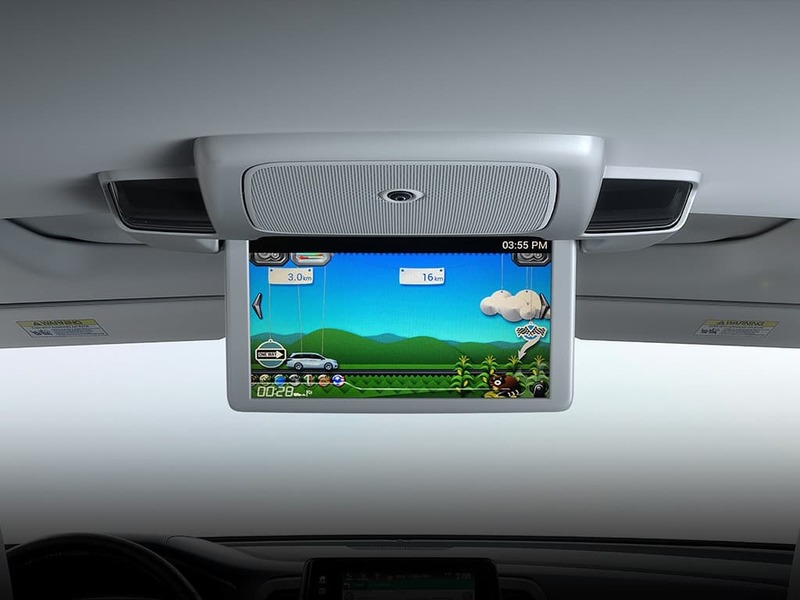 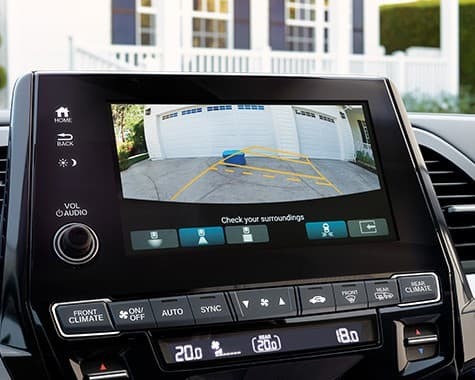 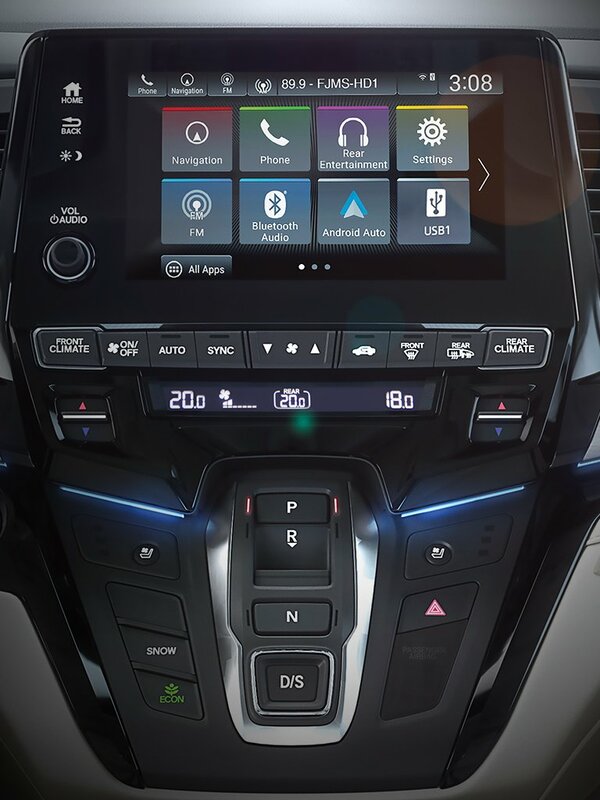 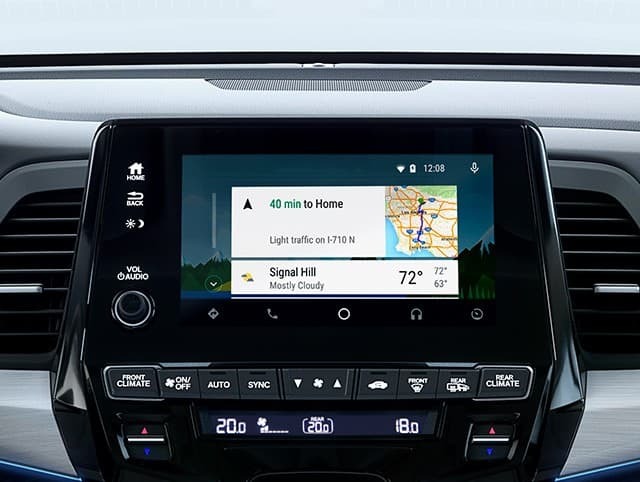 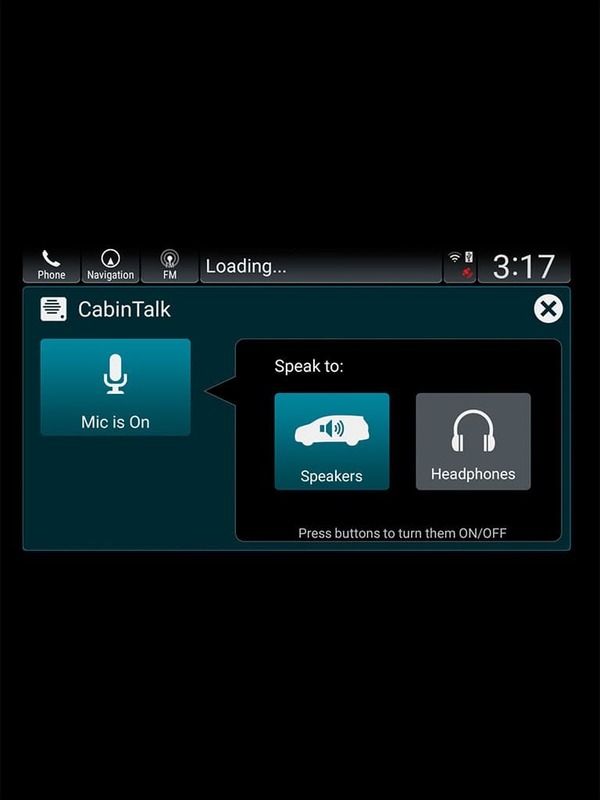 Connect your Honda Odyssey with your compatible smartphone for directions, appointments and even the weather. 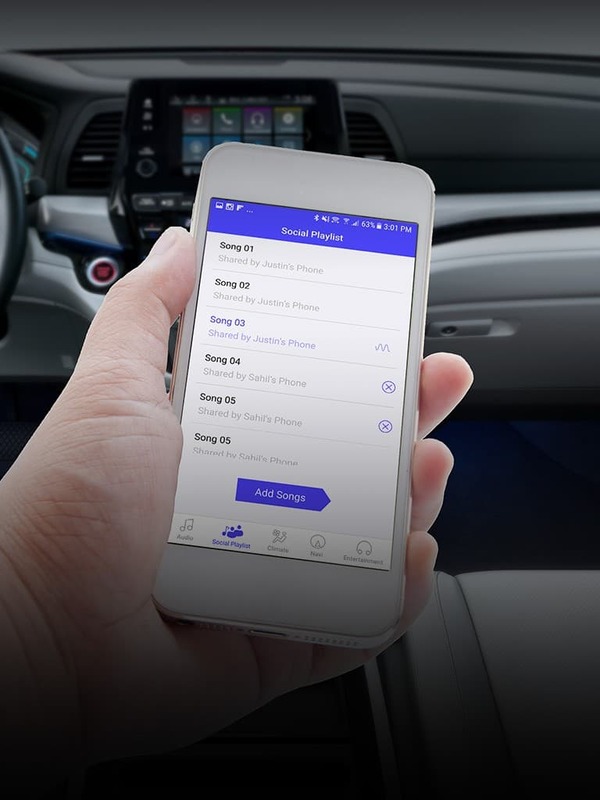 With CabinControl Social Playlist feature, everyone can have a say in the music played by simply adding a song to a playlist through the CabinControl app. 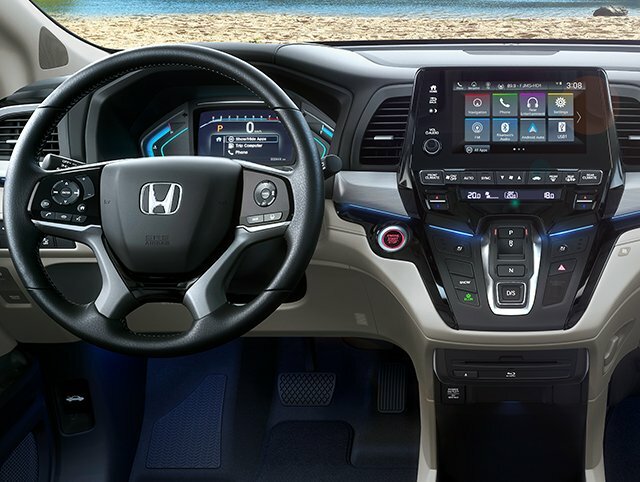 The 10.2-inch display makes viewing easy for 2nd- and 3rd-row passengers, and offers music and video streaming. 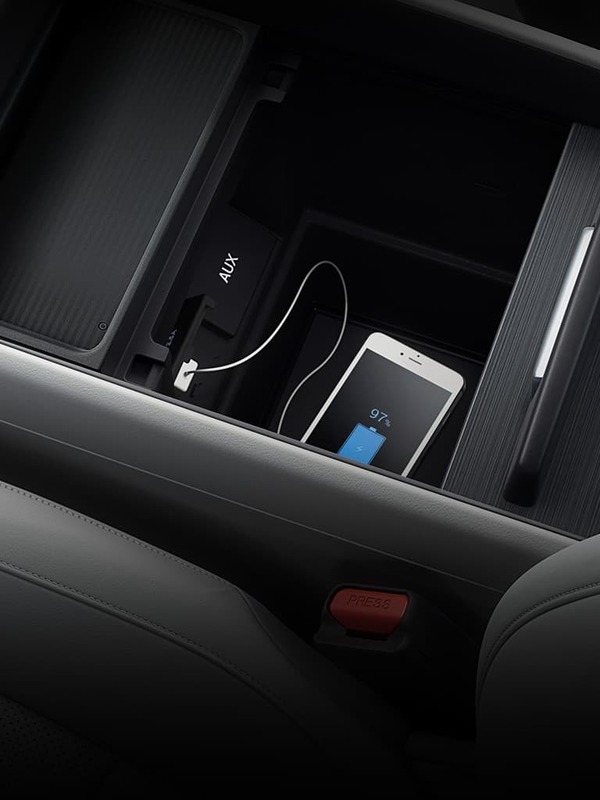 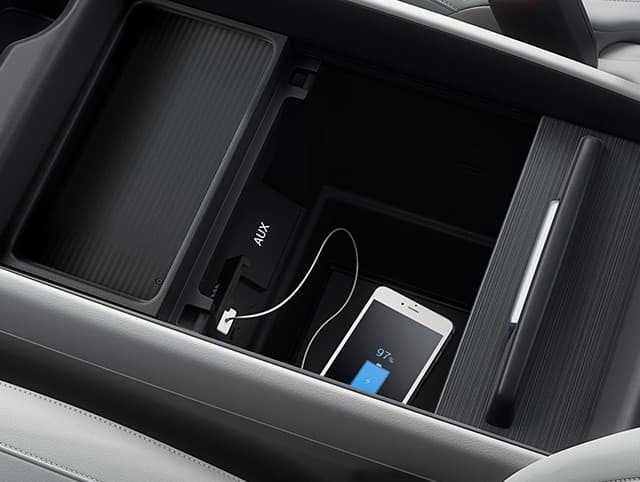 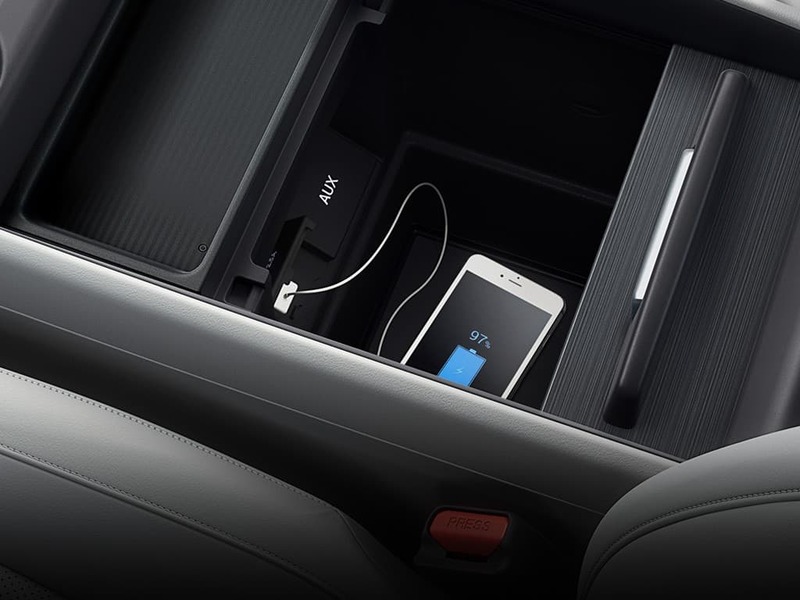 Plug in, control and charge your compatible digital devices with front USB connectivity, and let your passengers charge theirs with rear USB connectivity. 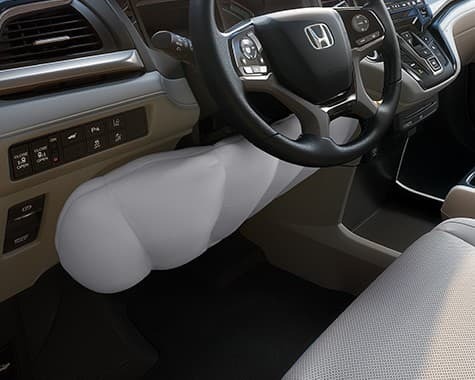 Knee airbags are designed to help properly position the driver and front passenger to take advantage of other vehicle safety features during a collision sufficient to deploy the front airbags. 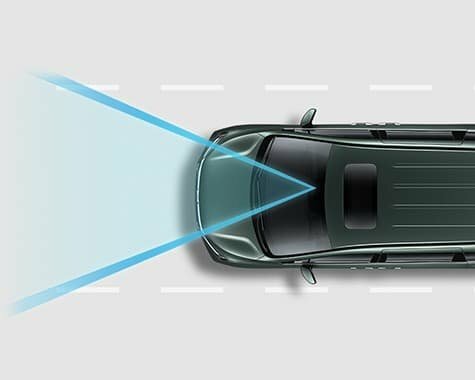 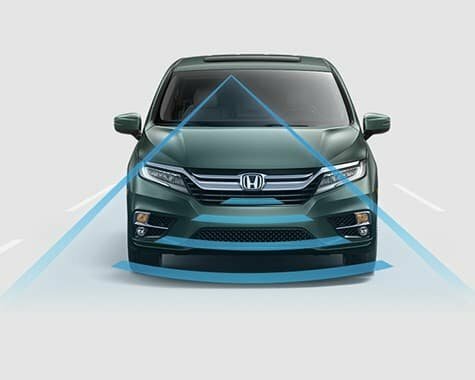 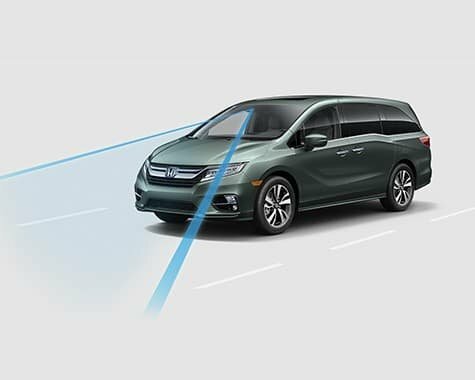 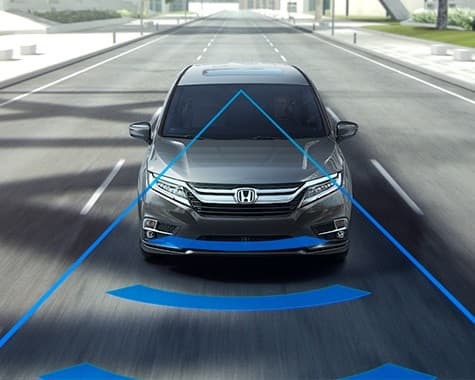 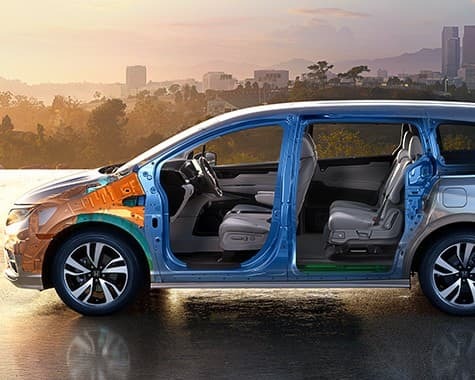 Honda Sensing is an intelligent suite of safety and driver-assistive technologies designed to alert you to things you might miss while driving.